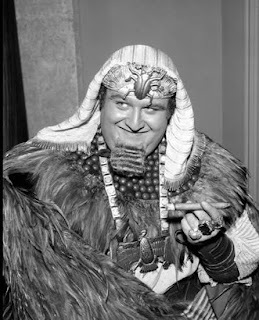 One of the appeals of the TV show back when i were a nipper - and now - was the character of King Tut. A brilliantly funny turn by Victor Buono who doesn't need to go over the top a la Romero to fit into the world, a lot of his appeal was the often very quiet, understated humour he injected into the role. He could be camp and over the top with just a sigh or a sideways glance. Why he's never been given the acccolades he deserves is way beyond me. Victor, you were a genius. Here's a nice complilation, nicely put together with Steve Martins ace number.